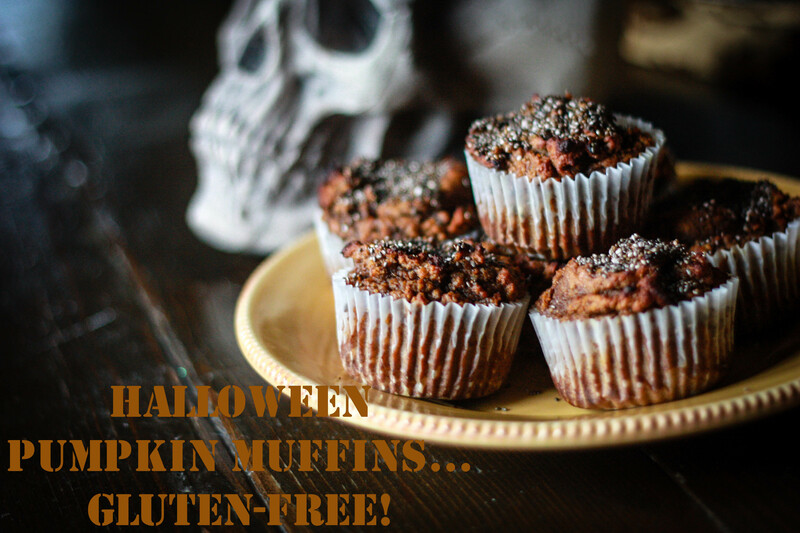 Dare To Indulge… Halloween PUMPKIN Chia Muffins Gluten-Free! That is right! 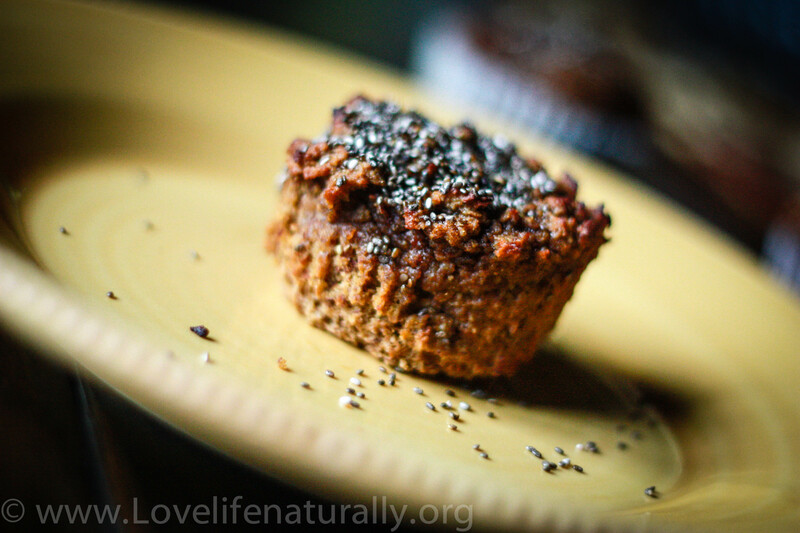 These pumpkin Chia muffins are so moist and delicious, they will FEEL like an indulgence, but on the contrary they are hauntingly good for you! 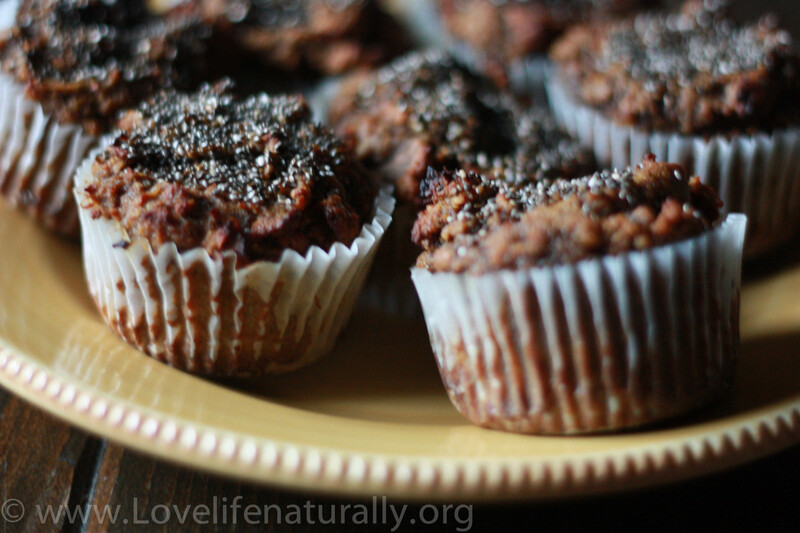 Muffins are such a fantastic, easy to grab, snack or breakfast! Of course it is October and pumpkin everything in the air! Unfortunately, most of the pumpkin ‘goodies’ available are full of unhealthy ingredients. For example Trader Joes Pumpkin Bread contains “Enriched unbleached Flour (Wheat Flour, Niacin, reduced Iron, Thiamin Mononitrate, Riboflavin, Folic Acid), sugar, dried pumpkin flakes, spices, salt, arabic gum, soybean oil (yuck! ), leavening (sodium bicarbonate, sodium acid pyrophosphate),” those are spooky enough to scare a Goblin or a Ghost! 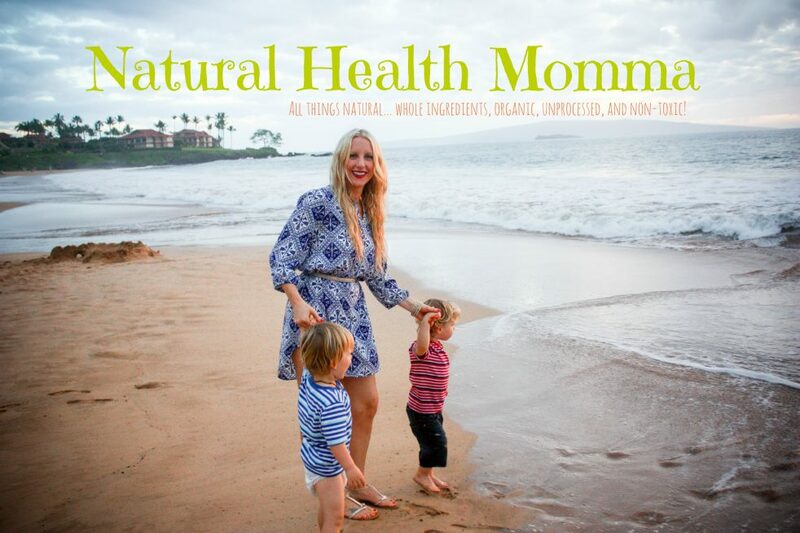 Yes, even Trader Joes even carries foods that are not [that] healthy and may even be toxic! 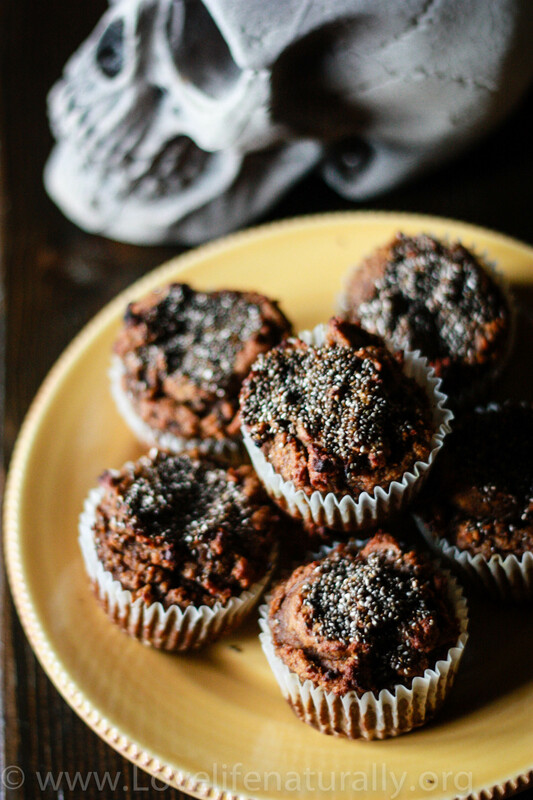 I did not take a ton of pictures this time because I used the basis of this recipe from my Apple Cinnamon Breakfast Muffins. So for more detailed pictures and explanations go there for help. All I did was omit the apples, apple sauce and cinnamon and add 1 can of organic pumpkin and pumpkin spice. I hope you find them mysteriously amazing… like we do! In a smaller bowl stir together wet ingredients… pumpkin, coconut oil, eggs, and honey. Add the wet ingredients to the dry stir to combine. Line muffin tin with muffin parchment papers. Add mixture to the tins and sprinkle with the Chia seeds. Bake for 25-30 min depending on your oven. And who knows!? Your kids might even like them! Happy Halloween Everyone! Enjoy! Be sure to check out my favorite Pumpkin Bread Recipe too! 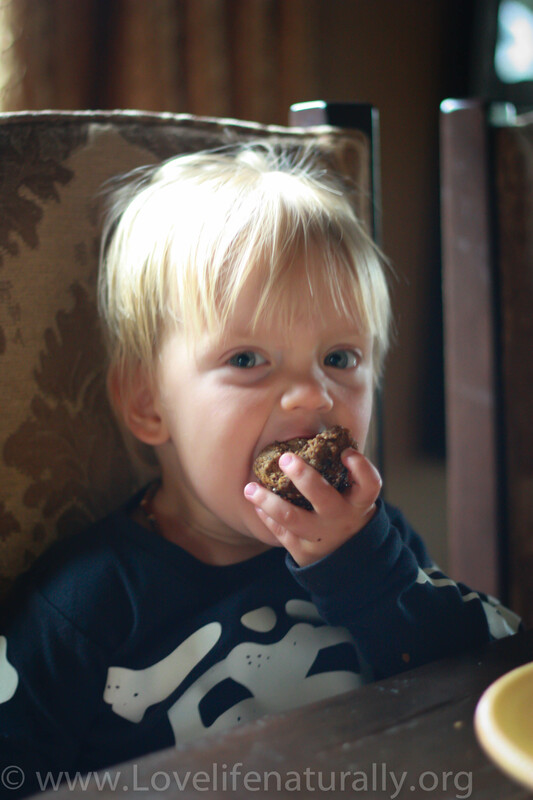 What favorite Fall/Halloween treat can you not live without!? Oh you KNOW I will be making these!!! 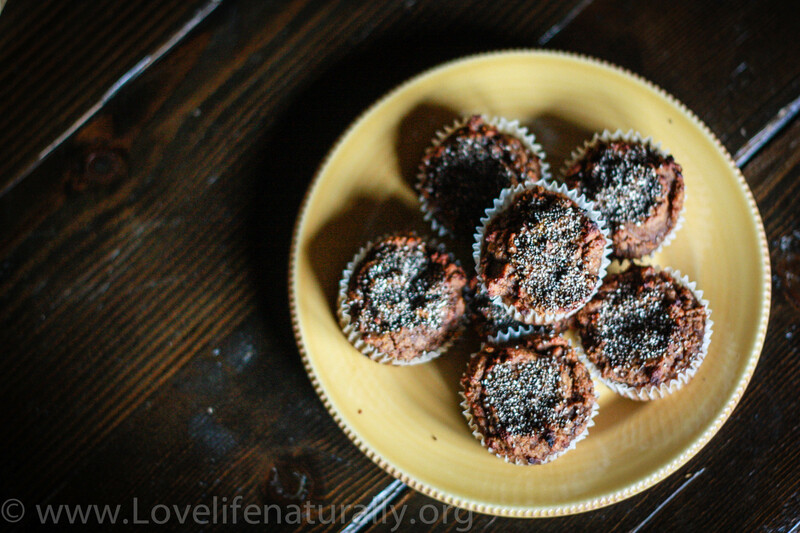 Love all of your muffins and make them all the time, so I can’t wait to add a new one to the rotation- maybe tonight! What a creative recipe. And your boys are ADORABLE!!! 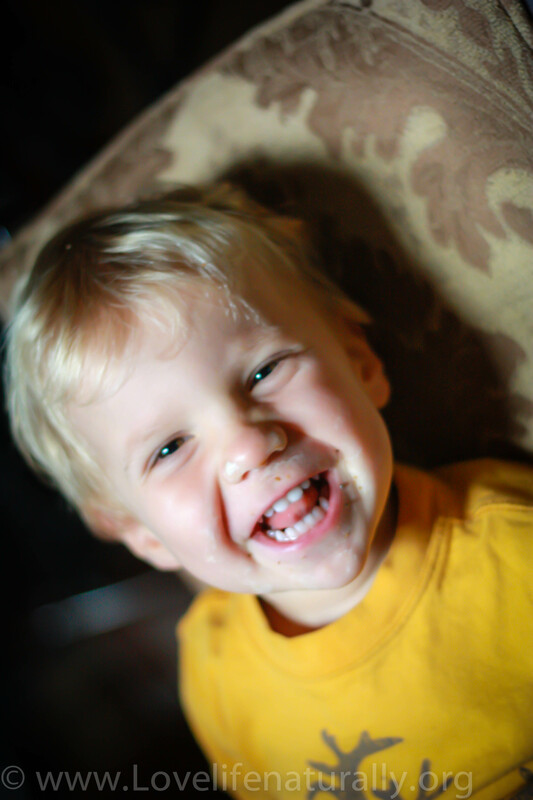 Seriously, you make cute kids. I can honestly say I have never seen canned pumpkin in the shops here. So how much ‘normal’ pumpkin would I use?? Hi Jo! Where are you from? 🙂 sorry I didn’t add the ounces… 15.5 oz can or 2 cups! Do you plan to make your own puréed pumpkin? Yum!